For their current approach, the UCLA team took two dozen enzymes from different combinations and concentrations and added them to a flask with glucose. Through this work in the flasks, the team was able to create enzymes and pathways that are not naturally occurring. The construction of these enzyme systems shows that the cell is not needed and biochemists have the ability to produce chemical compounds inside the lab. “We want to do a particular set of chemical transformations — that’s all we want — so we decided to throw away the cells and just build the biochemical steps in a flask. We eliminate the annoying cell altogether,” explained Dr. Bowie. Through more work, this process could be fine-tuned to successfully produce new products for industrial use, biofuels, and pharmaceuticals. This study was published in April 2016 in the journal Nature Chemical Biology. With all this funding, researchers at the University of California, Los Angeles have the means to purchase many new lab products that will help with their studies and clinical trials. 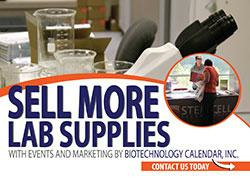 Biotechnology Calendar, Inc.produces an annual Biotechnology Vendor Showcase™ Event in LA that is a great opportunity to market lab products to active life science researchers at the university. This annual event brings active researchers together with scientific supply companies, so that the researchers can find the best and newest products and technologies to further their work. 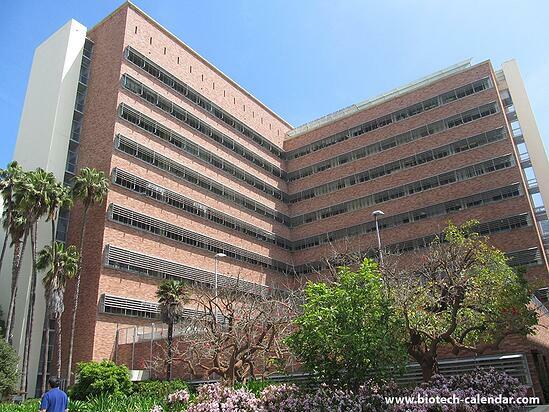 The 38th Semiannual Biotechnology Vendor Showcase™ Event at UCLA will be held on October 20, 2016, where more than 200 life scientists are expected to attend. Last year, researchers came from 46 different research buildings and 80 on-campus departments.